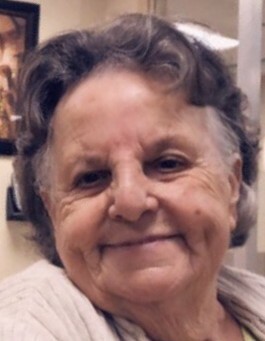 Mrs. Beatrice M. “Skipper”” Thompson 81, of 162 Jacks Drive Maxton, NC was born in Deer Creek in Outogamie County, Wisconsin on June 24th 1937 to the late Fredrick “Fred” and Marie Suprise of Bear Creek Wisconsin. She gained her heavenly wings on Thursday, January 24th, 2019 surrounded by her loving family. She was preceded in death by her parents and brother Edward Pahl , a sister, Rosemary Pahl and a granddaughter Deanna Londo Mitchell. She has left to cherish her memories, her loving husband of 56 years Mr. Earl Thompson. Three daughters: Ms. Kristin Renee Thompson of the home, Ms. Connie Londo of Bryson City, NC and Mrs. Tyler and her husband Garrison Locklear of Maxton. She has two grandsons: Mr. Earl Fredrick Locklear of the home and Mr. Patrick Londo of Chilacothie, Ohio. She also has three granddaughters that she loved to spend time with eating out and attending sporting events with: Kyndrian Hunter, Angelica Grace and Lauren Gabriella all of Maxton. She has a special great grandson of the home, Noah Lee. She is survived by her brothers: Francis “Fritz” Suprise and wife Sylvia of New London Wisconsin. Harold Suprise and wife Marcella of Hortonville Wisconsin. Two sisters: Jean Rew (late husband Jerry Rew) and Joan and her husband Lester Shephardson, all of New London, Wisconsin. She had a special relationship with her extended family and loved her sister and brother in laws dearly . She is survived by her sister-in -laws :Katie Sampson (the late James Sampson) Betty Dial and husband Talford. Brother-in-law Bobby and wife Jeanie Dale and brother-in-law Glenn Huskey ( and her late sister in law Virginia Huskey). A special high school friend Mrs. Priscilla Suprise and a host of extended family, relatives and friends. Mrs. Beatrice also loved her Jacks Drive Neighbors of the last 39 years and considered them all family.